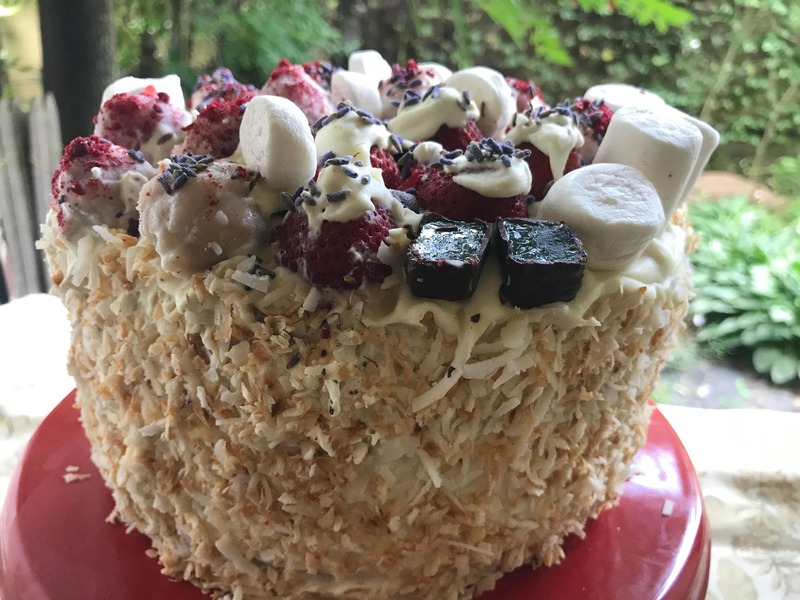 Vegan Silly Vanilla Coconut Marshmallow Raspberry birthday cake plus chocolate fruit jellies,no eggs,no dairy. 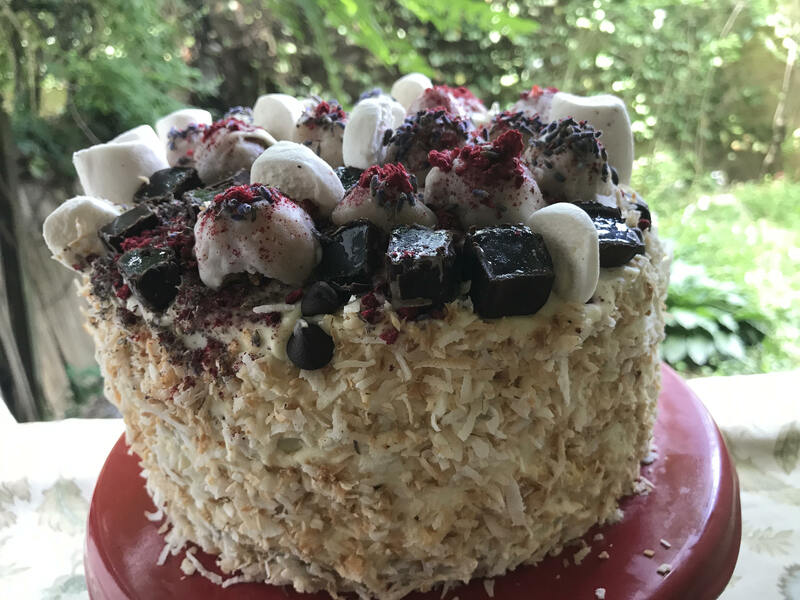 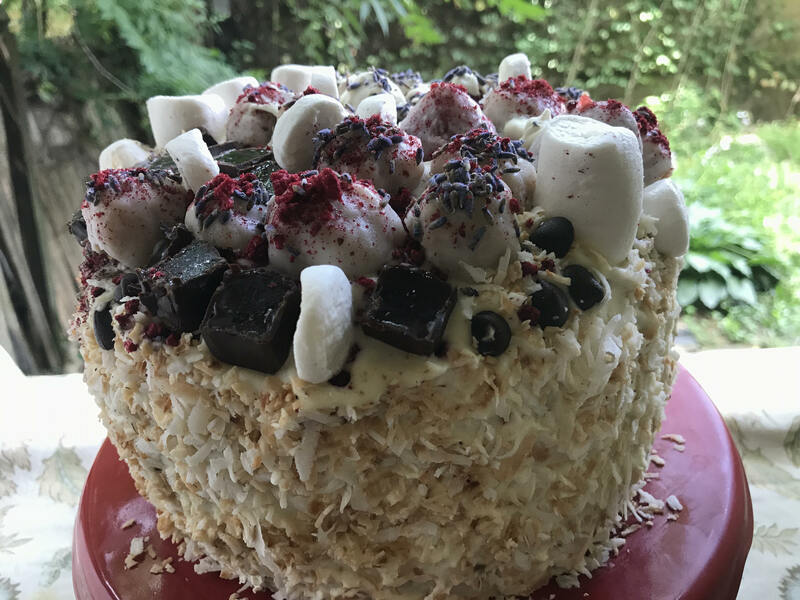 Vegan Silly Vanilla Coconut Marshmallow Raspberry birthday cake plus chocolate fruit jellies! 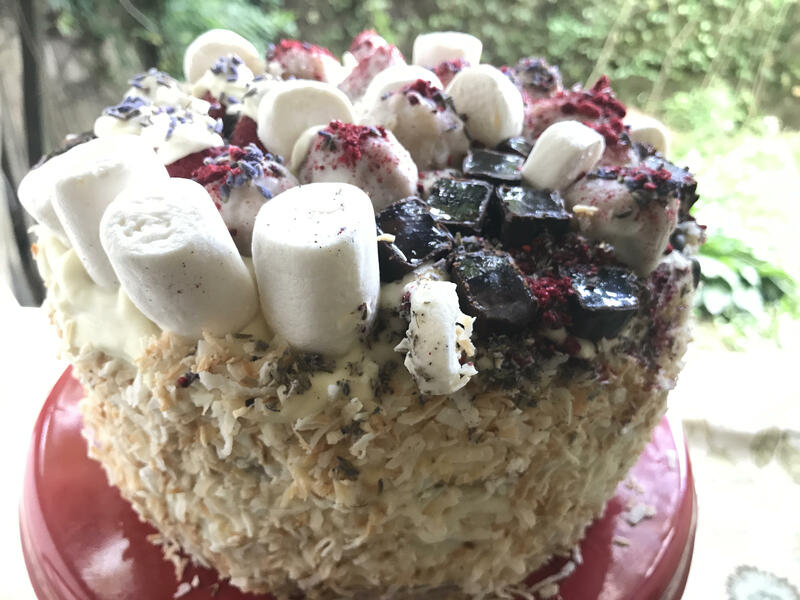 This beautiful 8" cake will be shipped in a box with the ice package. 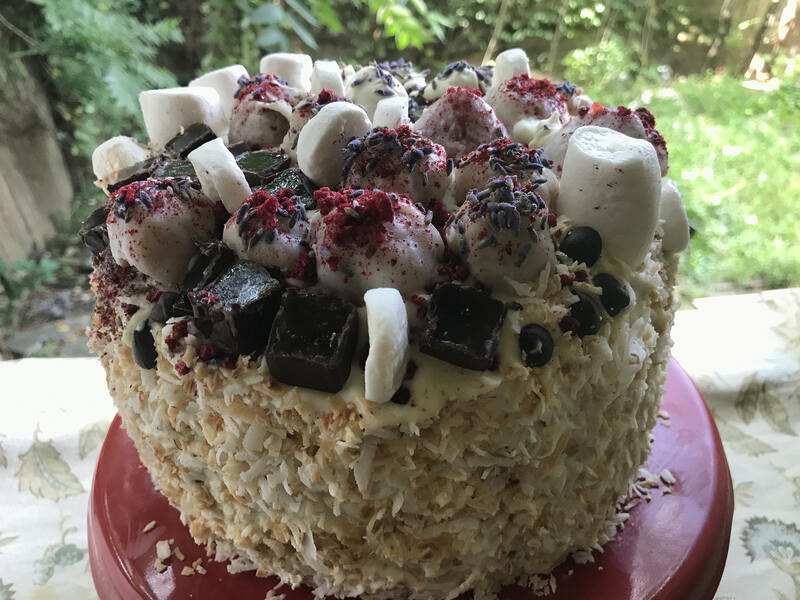 White cream will be have to be covered by chocolate or chocolate crumbs to keep it safe when we ship it.